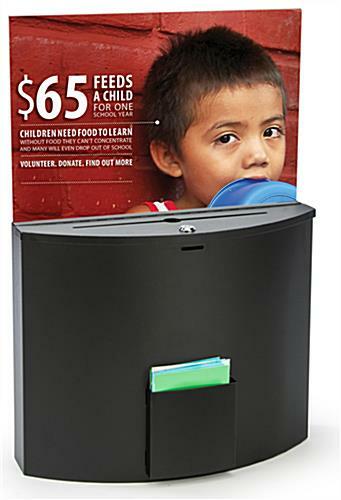 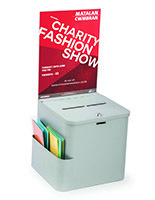 These ballot boxes are large metal bins designed for collecting entries or suggestions. 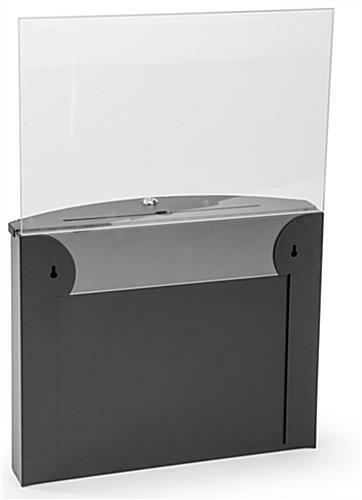 They feature metal construction with a black finish and sport an attractive curved front. 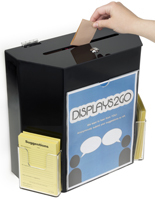 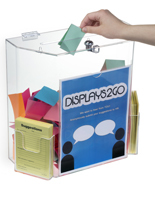 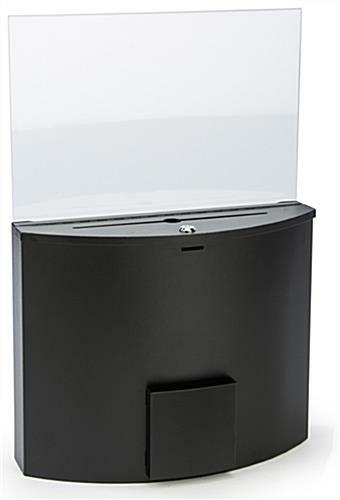 In addition to the card pocket located in front, these ballot boxes also come with a clear acrylic sign holder. 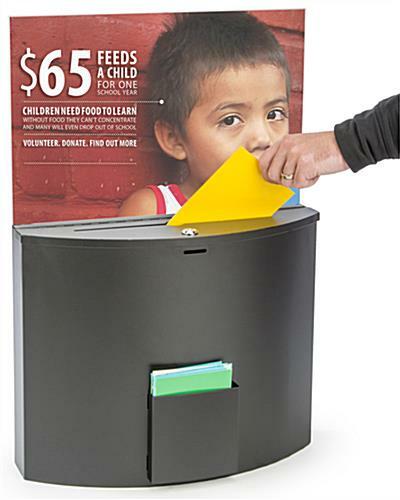 Simply insert any 17" x 11" sign or post into the frame to advertise or promote. 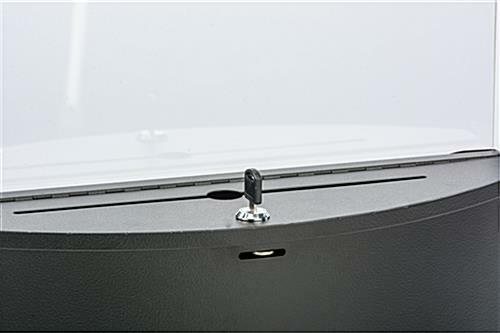 A locking lid completes the product! 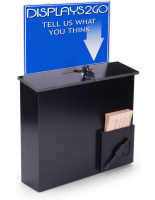 For countertop or wall mount display. 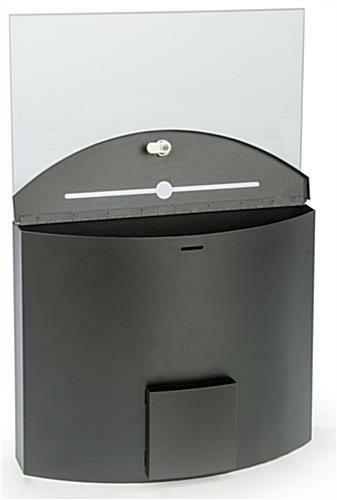 17.4" x 15.0" x 6.0"
5.3" x 5.3" x 0.75"